Meet Winthrop Periodontist | Valerie Martins, DMD | Brooks Dental, P.C. During each of your visits you’ll be treated with respect and kindness, making appointments and treatments as calm and stress-free as possible. 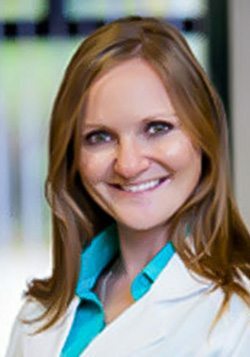 Dr. Martins’ will take her time to listen, understand, and explore your unique concerns and conditions. Questions are always encouraged as part of the conversation. You’ll find that her ability to clearly discuss your oral conditions and possible treatment options will help you feel confident in making your best decisions for dental health, function and esthetics. As a Board-Certified Periodontist, Dr. Martins is excited that advances in dentistry can now help you maintain and improve your oral health throughout your lifetime. In addition to periodontal treatments to improve gum and bone health, Dr. Martins also provides you with options for single, multiple or full mouth tooth replacements using dental implants. In her free time, Dr. Martins and her husband Derrick enjoy outdoor activities and traveling abroad. They have two beautiful children Lauren and Andrew who are entertained by Brady and Chihuahua their fun-loving dogs.